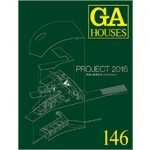 Issue 146 of GA HOUSES magazine documents outstanding new residential architecture from all over the world. Included in each issue also are retrospective looks at residential works of the past which are now considered epoch-making. With projects by Tadao Ando, Kengo Kuma, Studio Mumbai, Grupo SP and many more.